Oh yes, this really was a lovely day. Not only did the weather permit me to pull out my favorite vintage shirt in the history of the world, but it was nice enough to have a wonderful picnic outdoors with my friends Dylana, Kim, and Brian. We decided to skip out on all the fuss of rushing to happy hour and decided to create our own private one. I'd say it beat being in a stuffy restaurant exponentially. Plus, I was with the world's most awesome foodies (aka Brian and Kim) so of course they ensured that we didn't go hungry. We went to this awesome local Philly market place called Di Bruno Brothers and picked up a delicious cheese spread, fresh baguette, and olives and completed it with a bottle of wine. So began our picnic under the stars. PS- a huge thanks to Kim for taking these photos with her stellar lens. I think I'm in love! LOve the shirt and skirt! Stunning photos, you look absoluteluy beautiful!! I adore that top, the color, the cut, the bow...wow-and paired with the stripe skirt it is a perfect outfit! have a great day1 p.s. : new post on my blog too! Per-fect look, really it looks so beautiful on you! These photots are great i love your topand it goes so well with ur skirt. love that skirt and that bag! its the perfect size! i love your skirt...so flirty! i love your skirt and the satchel bag ! that's such a cute dress, well done! Such pretty evening captures! The picnic sounded lovely. Your skirt has such beautiful silhouette, and those loafers are darling! This blouse and that skirt together look wonderful, such a lovely look. I love the cut of this skirt. It looks so fabulous on you! really love the look, is soo cute! If I owned this shirt, I would never take it off! I love it! So pretty! That sounds like a perfect night indeed. I follow Kim's blog as well (and Dylana's) and it is always fun to see you guys all hanging out. i love love love your skirt! you look so lovely! beautiful pictures indeed! love them! and the outfit is just lovely as usual! You are the cutest ! Love the top! the color and the details, just beautiful!! I love love that blouse. Gorgeous. adorable! i love that skirt. Such a pretty outfit...I love the striped skirt and the blouse is so pretty and feminine. A night-time picnic/happy hour sounds like an ingenious idea!! I just love this outfit, the colours are so pretty on you darling! Amazing outfit! I love the peachy shirt and the skirt, they are perfect! I bet that picnic was a lot of fun! That top really is adorable! I know a few of the people that work at Di Bruno. Yummmmmmy cheeses! Great outfit absolutely adore that blouse! I LOVE your skirt ! So vintage, so beautiful ! You look adorable! Love that skirt :) Nice photos too. I absolutely LOVE this look - you look amazing, everything is just perfectly accessorized in this look! Picnic and friends sounds fun! as much as I love that skirt, can't believe is vintage is perfect! I love the vintage blouse. Goes nicely with the skirt. Really love your blouse and bag ! Hello pretty, so beautiful outfit, and i love your skirt. Oh, I looooove this blouse! What a great time for a picnic. You look great in that outfit. fantastic photos! you look adorable! great outfit really love your top so pretty! Great outfit. Love the top!! It sounds like you all had a great evening:) I am loving the photos too. I saw the first picture of your blouse and went :O It's just so so so pretty and I totally understand why it's your favorite vintage shirt in the history of the world!! :) just lovely!! what a perfect sounding picnic! that first photo is incredibly dreamy. so glad you commented because i absolutely love your blog! 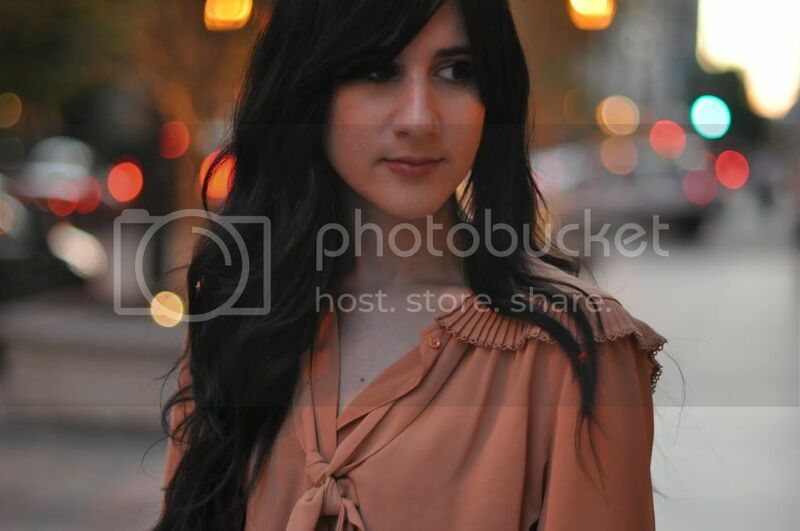 i adore your outfits/style... and this vintage blouse is nothing short of amazing. hope to hear from you again soon! would love to have you as a follower as well... bc i'm following you!! you look like such a cutie pie! your outfits are sooo great!!! I love the shoulders on that blouse! I'm in love with your shirt! The shoulder/upper back detailing on it is so cute! LOVE THE SHIRT! STAY AWESOME! Love these pictures (and your bag too)! you have such a great sense of style. thank you for your comment! your photos are SO beautiful! 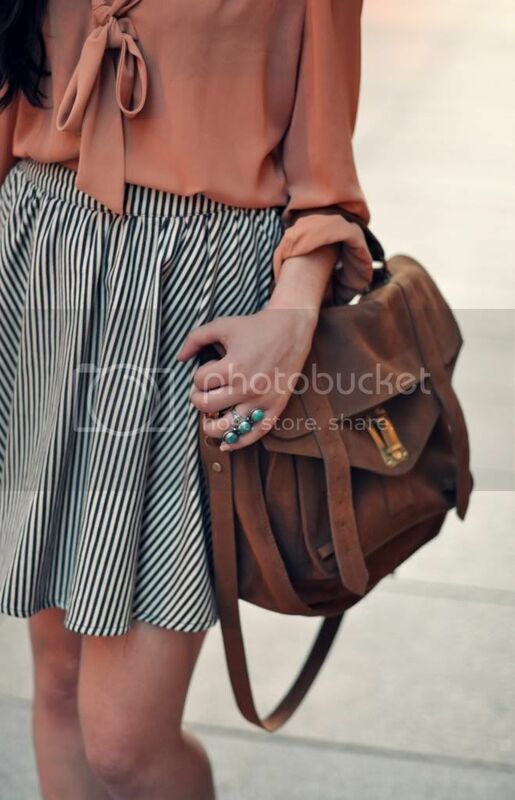 i love the skirt, the blouse, the shoes, the bag, the rings! WOW :)))) just amazing! Just kidding, keep up the fabulous style! It's my first time stopping by and I'm totally following you! Love your style and blog. I'm also jealous you got to picnic... it's too hot here! Great combination with your blouse and skirt. The blouse is so wonderful! Oh my I totally just fell in love with this ensemble!! That skirt is so adorable and I absolutely love your blouse, it is gorgeous! Just stumbled on you blog and it is super cute. I would love to know what you think of mine! This is lovely, as always. The striped skirt is great and I love your pretty blouse too. Wow, lovely outfit, really like your blog! i like the strips! and all of the nuetral tones are so nice on you. Love your top and that ring Bonnie! You look so adorable!